The Sacred Sound Retreat offers you the opportunity to interact with the largest touring collection of sacred sound instruments and ritual items in North America. NO MUSICAL EXPERIENCE IS REQUIRED FOR THE RETREAT. This years retreat will be hosted by Mitch Nur and Two Horses Running. 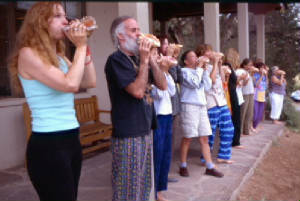 This is Mitch's eleventh year with the Sacred Sound Retreat. He has been a practitioner of sacred sound applications and vibrational healing for nearly 30 years. He is an energetic and provoking teacher who has traveled all over the world and has studied many traditional and non traditional methods. His lectures and demonstrations feature a extensive blend of history, science, and culture; with a hands on approach enabling students to not only fully grasp a subject, but to go beyond the academic to genuinely experiencing the discipline. The primary focus of his work is to provide all students the means by which to use sacred sound instruments to heal and strengthen their own physical and mental state. In turn, enabling them to heal others. What primarily seperates Mitch Nur from other instructors in this field is that he has actually lived and studied in the Himalayas. He is a student and teacher of these eastern traditions, and is a practitioner who incorporates the teachings into his daily life. Two Horses Running is a senior teacher of the 9ways Mystery School of Shamanic Studies. She is a practicing Native American Buddhist / Bon shaman in training since the age of 9. She has developed a unique perspective on multi cultural shamanic practices and vibrational healing techniques. Two Horses is a compelling and direct instructor, enabling students to grasp the essence of her teachings quickly and completely. She is a highly regarded teacher of the ancient Bonpo Shang, Himalayan Shamanic Rituals and Ritual Elements of the Buddhist, Bon, and Native American Traditions as well as an accomplished author, artist, and Traditional Buckskin dancer.This is her seventh year hosting the Sacred Sound Retreat. Both Mitch and Two Horses are in studies with Bon and Nyingma Tibetan lineage Lamas. Retreat sign in is at 7pm on August 22nd, and the first class begins at 10am on the 23rd. The retreat concludes on the evening of the 27th. The meals will be vegetarian. If you have a special diet consideration please let us know before August 1st. Please indicate on your registration form if you are interested in the optional trips to local sacred sites. 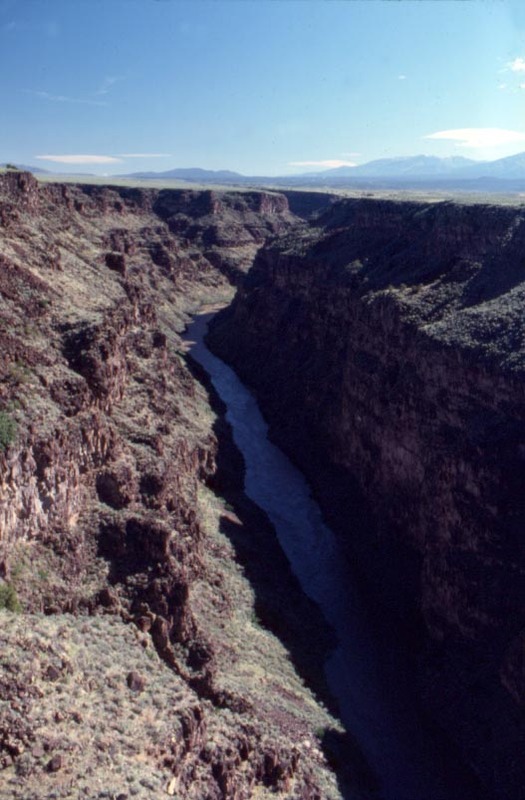 If you require additional nights of lodging at Taos Mountain either before or after the Retreat, please let us know so we may assist you in this process. If you need some sightseeing ideas please don't hesitate to ask.